Environ pioneered the use of vitamin A to ensure a genuine, visible effect on the skin. Environ differs from traditional skincare products by their use of vitamins to penetrate deeply into the dermal layer of the skin, and the use of powerful antioxidants to normalise skin and repair and protect from sun damage. Environ is a cult favourite world-wide, due in part to its mission to provide proven, cutting-edge technology for your skin. Environ creates skincare for women and men from youth to maturity, as well as children, encompassing all skin types and ethnicities. For additional information on our alpha hydroxy range, get in contact with Lily Lee Beauty Clinic today. The AVST™ range is a series of products that provides a complete care programme for your skin. The moisturisers contain vitamin A and antioxidants including vitamins E and C, Resveratrol and Beta-Carotene. The concentration of vitamins A and C increase in the step-up system of the moisturisers. We advise consumers to follow the step up system. To discuss our AVST range of beauty products, get in contact with Lily Lee Beauty Clinic today. The Ionzyme range is a premium range of skin care products that provides a complete skin care programme which contains many essential vitamins, antioxidants and peptides. This scientifically advanced combination of ingredients works on a whole to help provide the appearance of a smoother skin texture with a healthy glow. For more information on our ionzyme range, get in contact with Lily Lee Beauty Clinic today. For more information on our vitamin A Boost treatment, get in contact with Lily Lee Beauty Clinic today. Detox Clear contains salicylic acid and lactic acid for excellent pore penetration and exfoliation. Salicylic acid penetrates into the pores and exfoliates dead skin cells and excess sebum. Lactic acid exfoliates dead skin cells and hydrates, Eucalyptus provides strong astringent properties. Together, they work to smooth skin, minimise pore size experience, reduce acne and prevent new pimples from forming. For more information on our detox clear products, get in contact with Lily Lee Beauty Clinic today. With Lactic and Salicylic Acid, radiant 20/10 resurfacing peel contains a powerful combination of them both which improves skin tone and texture by exfoliating dead skin cells and speeding cell turnover. The multipurpose resurfacing peel reduces acne pimples and minimises the appearance of fine lines and wrinkles, large pores, hyperpigmentation and sun damage. For more information on our radiant 20/10 peel, get in contact with Lily Lee Beauty Clinic today. Radiant 30 is an alpha hydroxy acid resurfacing peel contains lactic acid to exfoliate dead skin cells. Boost cell turnover and stimulate collagen, improving skin texture and tone. This multifunctional peel targets multiple skin conditions, including fine lines and wrinkles, discolouration, sun damage and large pores. For additional information on the radiant 30 peel, get in contact with Lily Lee Beauty Clinic today. 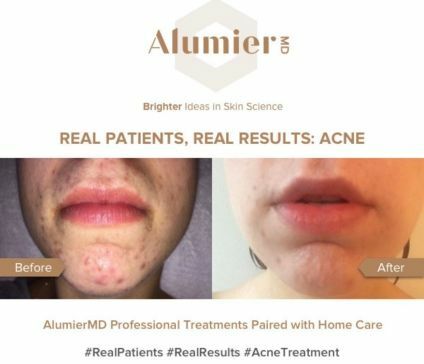 For additional information on the Alumier MD Deep moisturising treatment, get in contact with Lily Lee Beauty Clinic today. Environ Xmas Boxes €195, save €91 euro!